Do you want to start your own art channel? Here you will learn what are the best ways to record yourself drawing digitally, and which software is best for recording your drawing process. Recently I was looking for a screen recorder to record my own drawing process. Till this time, I was just live streaming on Facebook, downloading the live stream recordings and combining them into one file (speeding up the process, adding music etc.). Drawing takes many hours, so originally I just wanted to spend them working on my art and occasionally chatting with my friends via Facebook. I never had a YouTube channel, so I decided it would be a good idea to create one, and post my videos there. As you can see, the quality is not good enough. That’s not something I want to post on my art channel. So, I decided to dig in the topic and learn as much as I can, answering here all the questions I had. While browsing through YouTube you may encounter such terms as speed paint and timelapse drawing. Below you will find an explanation of those terms and learn what are differences between them. Speed painting is a drawing/painting technique where the artist has a limited time for creating artwork, and usually, it takes from a few minutes to several hours (yes, an illustration that took 2 hours is also considered as a speed painting). Speed painting is more popular among digital artists than artists who use traditional media, because they encounter other obstacles than digital artists. For example, when using paints, traditional artists have to wait for the paint to dry. Speed painting is often used as a form of exercise (ex. for practicing drawing portraits, it’s good to draw often speed paints of faces in different angles, to better understand the structure of face), searching for new concepts (compositions that can be used later for bigger projects), or warm-up before starting the main illustration. Speed painting is not the same as sketching. The difference between sketching and speedpainting is that the speed painting is considered as finished after the time limit is up. While a sketch is often considered as a basis for further work. A technique that allows you to see processes that are too slow for human perception. It involves taking pictures in (relatively) large intervals and then displaying them at an accelerated pace. In this way, processes lasting in reality for hours or even days can be seen in a dozen or so seconds. What is the difference between a time-lapse and a speed up video? Time lapse involves shooting frames at a speed much slower than the standard (let say 16 frames per second), perhaps as slow as one per day or much faster perhaps one per second. Then playing the frames at a normal rate of 16 per second or somewhat slower. The time acceleration is the viewing frame rate divided by the recorded frame rate. This is for compressing long events into a short movie. Speed up video involve shooting at a normal frame rate (say 16 frames per sec) and playing back at a faster rate (say 32 frames per second) or even playing every other frame. The speed up ratio would be the new equivalent frame rate taking into account the decimation divided by the original frame rate. It all depends on what device and software you are using, but mostly – do you draw traditionally or digitally? I will split this topic into two because if you are an artist that uses traditional media, you have to tackle this task in a different way. I’ve tried to record my own painting process on canvas and it wasn’t easy for me as recording myself drawing digitally. At that time I didn’t have a smartphone, but I was lucky enough to get a camera. I used to place the canvas on a floor and set up the camera right behind me. It wasn’t comfortable, since I had to watch out to not to cover the image with my head, and the camera could record videos up to 20 minutes. So I had to additionally keep that in mind, and start the recording again after 20 minuter, otherwise, I would miss a part of the process. Right now there are more options, and here are a few tips and tools you can use for recording your traditional drawing process. Technology constantly develops, and now you can buy smartphones with really good cameras. Most people have smartphones that are capable of recording videos in great quality, so all you need to have is a few additional tools that will make the recording easier. I’ve looked on a few place holders/tripods, and the holder made by Benks is one of the most recommended tools. 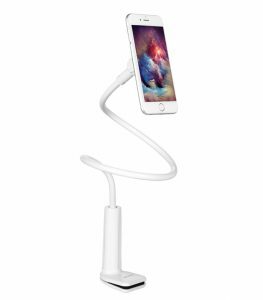 The bendable arm is strong but flexible enough and doesn’t jiggle around or slide out of place. It can be clamped to the edge of a desk. One of the Amazon’s opinions says that the stand started shaking a bit due to the movement of his my hands so it’s recommended that whoever is buying this for recording art puts it on something other than the desk you’re using. Perhaps a stand right next to your desk. She recorded a video showing her recording setup, you can check it out here. Proper light is the second most important thing you have to remember about. In a bad light, the colors of your painting won’t be correctly recorded – they will seem dull, or too dark. Unless you are plein air painting, you should get a lighting set. Many YouTuber often use a ring light. 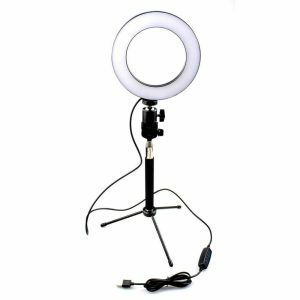 Ring lights are not only great for make-up artists, or for making professional makeup photos. Using such lamp does not require any special knowledge about photography and lighting, and you don’t need to have any advanced camera. On the market you will find Freepower ring lamps with a capacity of 28W, 40W, 65W and sometimes also 22W. The size and power of the ring lamp should be chosen taking into account the size of the photographed object and the assumed distance between the lamp and the plan – naturally, with the increase of both factors, the lamp with a higher power and diameter will perform better. All lamp models emit light with a color temperature close to daylight – 6400 K.
However, you need an additional device called a capture card. 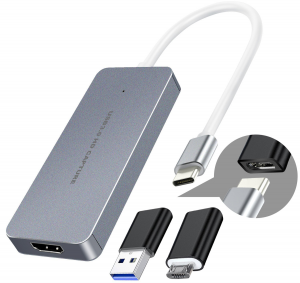 Capture card is an internal or external device that connects from the computer or device to a video camera or similar device capable of capturing a video signal. The video capture device is then capable of taking that video signal and converting it to a stored video format, allowing you to store, modify, and show video on a computer. The other thing you will need is a screen recording software. Thanks to the capture card device and screen recording software you will be able to capture video from gaming consoles, other PC, TV broadcasts, webcams or camcorders. What’s the point of doing it? 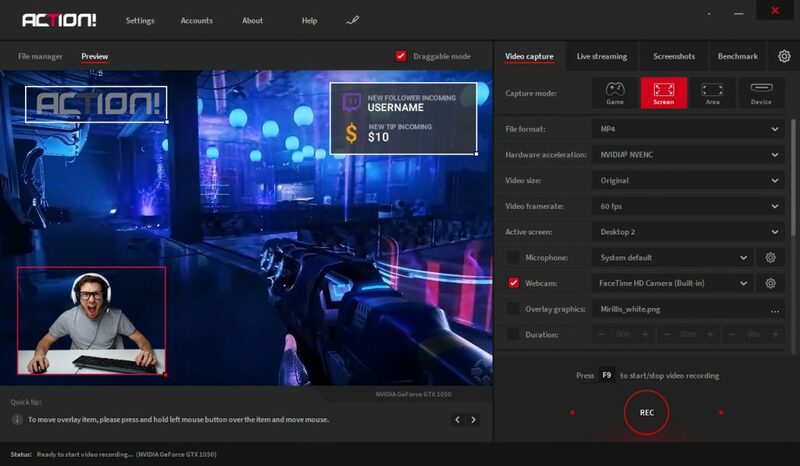 Well, it will allow you to add your own logo, webcam, microphone commentary and record video to your local disk or live stream to popular services. You don’t have to post-edit your recording. Recording the process of digital painting is much easier in my opinion than recording the traditional drawing. Of course, there are artists like Ross Draws who like to record with a camera to show their graphics tablet (I’m so envy of Ross’ tablet, it’s huge!). You can watch an example of his videos here. I’m aware that not everyone has a possibility to get such an awesome tablet, so let’s stick to more cheap options. Let’s assume that you at least have a laptop, a graphics tablet (mouse is also fine) and a graphics software – don’t worry, it doesn’t have to be a Photoshop, here’s a list of free graphics software. In this case, everything you need is a screen recording software. What’s a good recording software when you draw digitally? I’ve got a chance to test a few of screen recorders, and below I will post a short list of best screen recorders to record your digital painting – paid and freeware. Mirillis Action! is software that suits my needs the most of all screen recorders I used in the past. 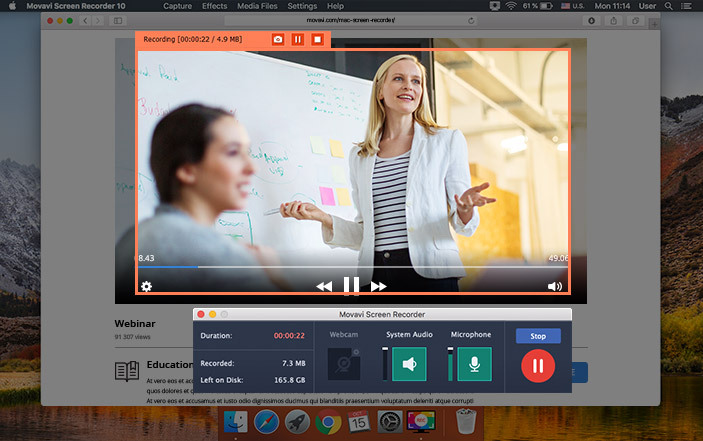 It lets you record and stream everything you see and hear on your computer, including games, dashboards, applications, music and videos from any website. It’s quite popular among gamers, it has some advanced options which I personally don’t use: benchmarking, recording audio to a separate file, mouse clicks effects, or the drawing panel. What I like the most about this app, is that despite its advanced options, it’s really easy to use. Like, totally, just one click and you are already recording. Active screen – if you have more than 1 monitor, this option allows you to choose which monitor you want to record. So, on one monitor you can have open a graphics software, an on the second your photo resources/other materials. Application ‘select application to record’ – if you want to keep total privacy, there’s a possibility to record only the graphics software. This mode guarantees that no other application will be included in your final video recording. All screen area outside your selected application will be recorded as black area. Overlay graphic – this option allows you to put your logo on the video to protect your work from “art stealers”. Set it before starting recording, or live streaming. This screen recorder It’s paid, but it’s a one-time payment – you don’t have to purchase any additional services, or you don’t have to buy this software again every single month/year or update. Which is great, because the software is often updated and the developers constantly add new options. They have also a trial version, where you can use the software for free for 30 days. In case you are interested in purchasing it, I managed to get a 25% discount code. *check “I have a discount coupon” box, and paste the brushwarriors code. Click ‘enter’ on the keyboard to reload the page and get the discount. It’s paid, but I also managed to get a 25% discount code. I will try to update this article over time an include other software an useful pieces of information, so if you have any tips and advices, please let me know!